Previously, Chef Ahmed Azizy worked for Chicago’s Ritz Carlton and The Four Season’s hotels along the The Magnificent Mile, where he quickly worked his way up the fine dining corporate ladder. In addition to the hotel industry, he exercised his innate talent, formal education, and experience as a private chef for a number of Chicago’s Gold Coast notables. As a native of Mohammedia, Morocco, Chef Azizy grew up with very diverse styles of food and cooking. His unique background makes him a visionary in the Culinary Arts world. Chef Azizy notably worked his way to success after moving to the United States. 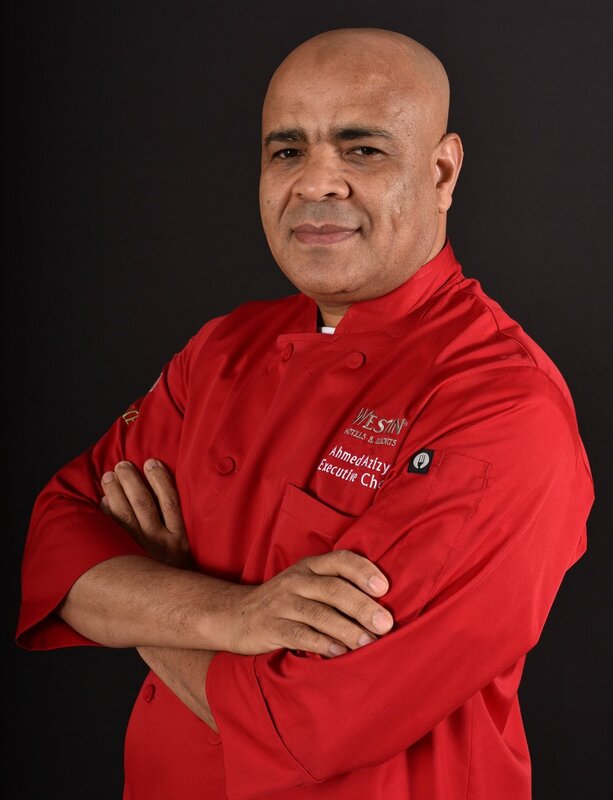 Following his 1991 graduation from The New England Culinary Institute, Chef Azizy traveled to Nice, France where he went on to win first place in the US Division of the Grand Prix Auguste Escoffier Competition in 1996. Chef Azizy’s resume boasts numerous experiences that make him a more than qualified fit for The Westin Chicago Northwest. His diverse cooking style will be the perfect fit for the new on-site dining options.